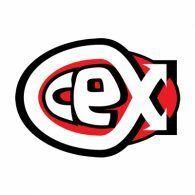 UK retail chain CEX (or Computer EXchange as was once know) has suffered a data breach, with details of two million customer accounts affected. The affected data includes full names, addresses, email address, phone number, and encrypted credit card information for expired cards up to 2009. CEX have begun contacting customers who may have been affected in the breach. You are advised to change your password immediately, including those on other sites sharing the same credentials. For more information on the breach, consult the CEX FAQ. CEX have hired a external security specialist to review it’s processes and security measures to prevent this from happening again.